September 2012 - Hairlicious Inc.
KeraCare Humecto Creme Conditioner - Thicker With New Ingredients! 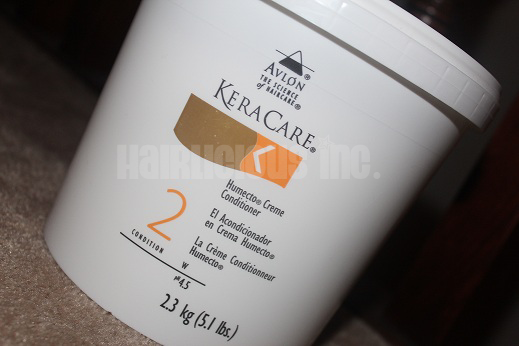 Promises: Keracare Humecto Creme Conditioner helps correct and protect hair from the moisture loss caused by exposure to chemicals and thermal styling. Deep penetrates the hair shaft to hydrate and humectify. 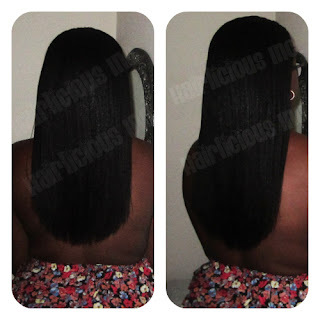 Softens and silkens dry, brittle hair. Helps prevent breakage and split ends. Decreases inter fiber friction for tangle-free combing. Adds shine and body, improves the surface porosity of hair, eliminates static charge. I couldn't stand the feel and texture of my ends since my last relaxer in July 2012... so I decided to get a trim. I still have length, which I'm happy about, and my ends look much healthier. In this photo, my hair was flat ironed with my "1 Hana Flat Iron. My hair feels much better overall. My new growth is in full effect and I'm going on 10 weeks post relaxer. I plan on relaxing next week at 11 weeks post. 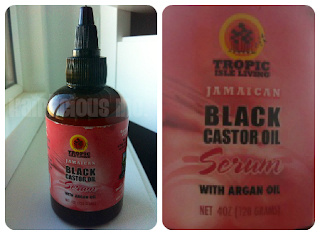 Above, are my staple products that I always use during my relaxer process. Today, I made a trip to the Beauty Supply store to restocked my stash!